Bruscheta is a crisp and refreshing appetizer for these hot summers. 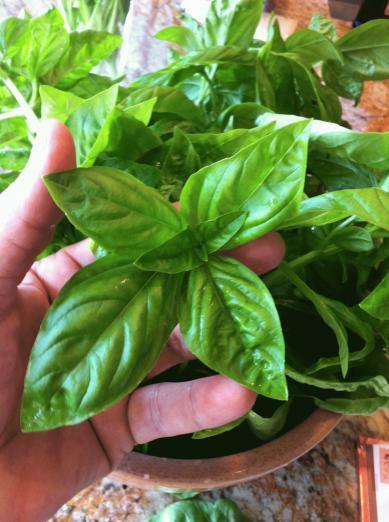 This morning I pinched off some beautiful plump Basil leaves for some Tomato and Basil Bruscheta I’m serving at lunch. 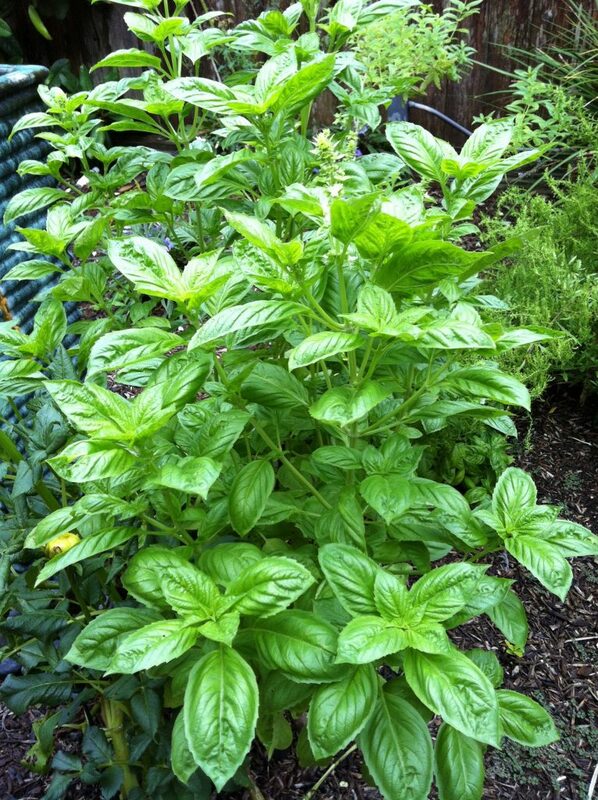 I find that in Houston the basil plant has to be in the shade during the blazing heat so either plant it next to a building, a tall bush or place a patio umbrella next to it. I admit that sometimes I will add just a hint of tiny minced Serrano chile to give it a Mexican pop. I remove the seeds from the Serrano before mincing it. The flavor I’m after is the herbal basil blended with the herbal Serrano, both a nice green, summery taste. Of course, if you’re not growing tomatoes this year, go to the farmer’s market to get heirloom or garden tomatoes, they make all the difference in the world. And finally, don’t refrigerate the tomatoes. The cold kills the enzyme that has all the delicious flavor. -1 1/2 cup tomato, small dice, fresh from your farmer’s market.DO NOT refrigerate the tomato. 1. Toast the bread in a F350o until it is slightly golden. Or you can place the slices under a broiler then flip them. Allow to cool. 4. Spread the tomato mixture onto each slice and serve immediately. Take a nice glass of white Orvieto with this bruschetta. It’s divine.